As you may or may not know, I am back in school this fall. I am 9 weeks into a 40-week French culinary program in Boulder, Colorado. I am going through a particularly rough patch at the moment—trying to figure out if this is the right school for me or if this is the time to reevaluated my situation and look for a school with better facilities and more dedicated, serious students. It has been an exhilarating, challenging, terrifying and frustrating 2 months. Yesterday I stormed out of class early so completely frustrated with our tiny under-stocked and overcrowded kitchen and my unmotivated classmates. I couldn’t bring myself to go back today. The class has worn me down. I needed to take a day to breathe and get my bearings back. I spent the day cooking things I wanted to cook: healthy vegetarian food—no clarified butter, heavy cream or “mother sauces”. Nothing deep-fried, shallow-fried, pan-fried, or even sautéed. No flourless chocolate cakes, crème brûlées, Swiss buttercreams, or chocolate ganache. I needed to remember why I like cooking and re-convince myself that I am actually good at it. To compliment my day of healthy cooking and remind myself why I chose to turn my life upside down and attend a French culinary school, I decided to do a little research on one famous French chef: Roger Vergé—the chef who was brave enough to distance himself from the traditional cuisine classique and introduced the world to cuisine du soleil, a variation of Provençal cuisine favoring fresh, local ingredients and unpretentious preparation and presentation. Vergé explained his nouvelle cuisine as “a lighthearted, healthy and natural way of cooking which combines the products of the earth like a bouquet of wild flowers from the garden.” Also know as cuisine heureuse’, Vergé saw his culinary style as the “antithesis of cooking to impress”. His “happy cooking” transformed French gastronomy, and changed and the way generations of French chefs have approached food and fine dining since. Born in 1930, Vergé grew up in Commentry in the center of France. Perched on a “small wooden bench”, he learned to cook from his aunt Célestine and was inspired by his father, a blacksmith by day and farmer by night, who “in the evenings…tilled God’s earth and brought his mother flavorful, aromatic vegetable for the table.” At 17, he apprenticed to a local chef at Restaurant le Bourbonnais and then moved on to trained at several Michelin-starred restaurants including Tour d’Argent in Paris. He spent time in Morocco, Algeria and Kenya learning and working in the kitchen of the Mansour de Casablanca and L’Oasis which undoubtedly inspired and informed his cuisine of the sun. Upon returning to France he worked in the restaurants Hotel de Paris in Monte Carlo and Le Club de Cavaliere in Le Lavandou where he was exposed to the bright colors and fresh flavors of southern French food. In 1969, Vergé opened his famous Michelin 3-star restaurant Moulin de Mougins near Cannes. Although French cuisine was still characterized by its heavy use of animal fat —butter, cream, and lard, Vergé’s cuisine of the sun — Mediterranean fare enhanced with vegetable essences and fruit reductions — elevated and celebrated lighter and healthier food, and quickly changed the landscape of French cookery. By 1974, Moulin de Mougins had won three Michelin stars. A second restaurant, L’Amandier de Mougins, earned another two stars. 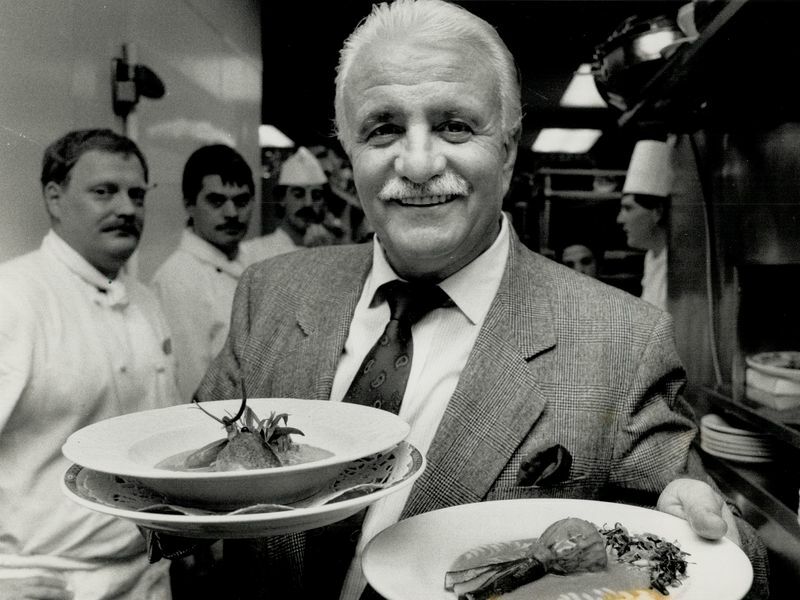 By the mid-1970s, Vergé held the most number of Michelin stars of any single chef in France. 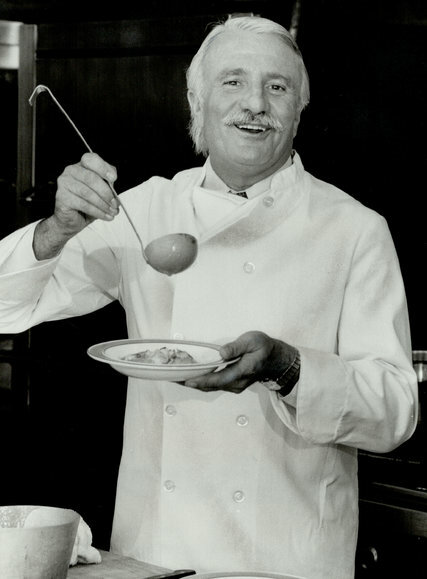 To promote his cooking style, he founded l’École de Cuisine du Soleil Roger Vergé in Mougins. He was the collaborator and head of several other restaurants throughout France and in the US, and he also wrote dozens of cookbooks in both French and English making his ideas and cuisine accessible to home cooks. Roger Vergé died this past June at his home in Mougins at the age of 85. Thankfully his legacy lives on. By the way Sarah I really want your Authentic Italian Lasagna recipe ! Please !!!! Lots of love to both of you !! Sorry to hear that you might have taken a wrong turn here, but sometimes we just don’t know if something is right for us until we try it. In my humble opinion, if it’s been two months and you hate it, walk away. You know that I love much that is French, but the inherent snobbery about the superiority of all French food over other cuisines is still ingrained in some, although not all. Thanks for the lovely note and encouragement. Life IS a journey, n’est-ce pas? It’s hard being a student as an adult. I think because our expectations are higher than kids fresh out of high school. I hope you are doing well. I will be back in Paris in early December. I look forward to catching up with you . Big hugs. Good for you following your dreams and heart! Maybe one day soon you’ll open your own “natural food, natural meal” cooking school for the French obsessed!! If you do I want to attend!! Nice to hear from you again but sorry to hear about your unhappy circumstances. I’m sorry to say that finding the words “French culinary programme” and “Boulder Colorado” in the same sentence sounds very worrying to me. The best French food I have eaten has been from cooks trained in France, usually learned as basics ‘en famille’ then refined in a professional kitchen. I do hope things look up for you soon. Hello Richard. Thanks for the nice comment. I know, right — Boulder, Colorado and French culinary school go together like oil and water. Still, it’s where I am now, so need to make the best of my location. I am currently looking at other culinary institutes in Denver. It’s a boring story. I’ll figure it out. I need to get back into the WORDPRESS world and catch up with you, but meanwhile wishing you well, and so great to hear from you. The world of WordPress is a much duller place without you in it. Hope you read this and reply. HI Sixwheeler (Richard)— I just saw your recent comment on my stagnant 365+ blog page. I am alive and well–finished culinary school last summer and did a 3-month stage at an American restaurant in Paris. It was insane and I should have written about it, but I was working 12-16 hours a day, 6-7 days a week, and was in no shape to do anything but walk my dog and literally crawl into bed. Maybe someday I’ll write a book. I’ve been back in Colorado since mid-October, and since then have been trying to start my own culinary business. I have been doing some catering and personal chef-ing, and am currently building a website to start making family cookbooks for people trying to preserve their culinary traditions. 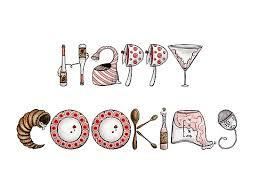 I hope it is a successful endeavour, because ultimately, as much as I love cooking, I love writing more. I am also volunteering 20-hours a week at the International Rescue Committee helping welcome and settle refugees from war-torn regions. It’s important and rewarding to help these amazingly brave people, as they try to rebuild their lives in America…especially at this tragic point in our history when we have elected such an evil/hate-filled moron as our president. I have met some wonderful people from all over the world (mostly Syria and different parts of Africa), and feel like I am making a small difference in their lives. I do a lot of middle-eastern cooking for them as they arrive which helps fill my need to cook all the time, without eating all those calories. I’m headed back to Paris at the end of April, and I definitely plan to blog about it…so keep an eye out. I hope you are well. Thanks so much for reaching out! Very interesting that you’re taking French culinary courses in Boulder, Colorado! Like the other comments, I am sorry that the classes aren’t living up to your expectations. But your passion for the culinary arts, as well as a lovely homage to Roger Vergé, is admirable, and I can hope that things will look up for you in the future! Thank you very much. Plugging on again today at culinary school. I will finish this block and reevaluate things. Thank you for the sweet comment. Hi Nancy. Life back in Canada continues to be difficult as you can imagine: we came back to a very harsh winter, we are dealing with ageing parents and we have had a few deaths in the family. All in all, I will be happy when 2015 is over. Maybe 2016 will be better for us. We went back to Paris & London in early October (pictures coming up on the blog soon) and it was great. We felt like we had never left even though it had been 10 months since our departure. We don’t know when we will be back again as I don’t think we can go back as often as you are doing…Good luck with everything and I have a good trip back to Paris in December. I very much enjoyed this blog; although I do not practice the fine art of cooking, I admire your passion and willingness to try a different path in life as an adult. I do know after some health ups and downs in my family that it is important to always always find joy in life every day and if something is getting in the way of that that you CAN control, find a different path. Thanks for the comment Jennifer. Long time no see! Would love to sit down to a coffee sometime and catch up. How did our girlie-girls grow up so fast? A frustrating and complicated decision for sure. Wishing you wisdom and courage in your search. Thanks Cam. Can you believe I’m back in Boulder going to school with a bunch of 18-year-olds? Deja vu? IF only you and Dave were here to cheer me up and dance on tables. Nancy, I’m sorry the course is not turning out as you had expected. But I don’t think you should doubt your culinary abilities…everything I’ve eaten at your house has been splendide! Thanks for the note Graham and welcome back. It feels good to be writing again. Fabricating pigs and making charcuterie this week, so should find some good nuggets to share. Will be visiting some other culinary schools in the area and figuring things out regarding the future. Best .